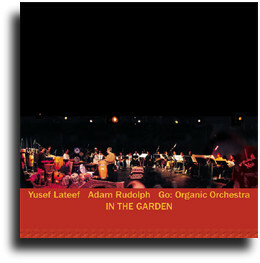 For this, the third concert recording of Go: Organic Orchestra, artistic director Adam Rudolph has reunited with longtime collaborator and mentor Yusef Lateef. Rudolph conducts the orchestra in an improvisational process, utilizing themes and cues he and Lateef have composed. From these compositional modules, Rudolph spontaneously constructs the sonic environments with which the soloists interact. In the realization that all meanings cannot be adequately expressed by words informs me why this music exists. To ask what this music means, in the sense of something that can put into words, is to deny its existence. The late John Dewey might have described this music as an experience which has run its course to fulfillment or an experience that has developed towards its own prototype, gaining distinctions in itself. become affected by the music, to perhaps by chance delighted by the perennials with-In the Garden of Life. I would like to express my sincere gratitude to the musicians who spent so much time and effort in learning these new musical concepts, and who brought so much of their great skill and individual creative imagination to the process. 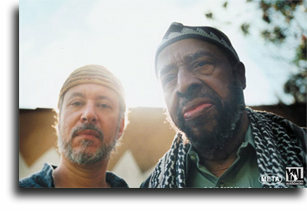 Most special thanks to Brother Yusef for so generously sharing his vast musical knowledge and deep personal wisdom with all of us. Peace, peace, light, peace and love.